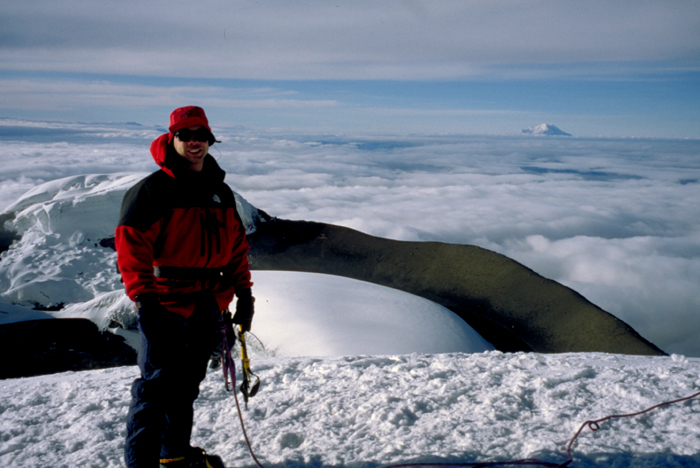 Cotopaxi as seen from the peak of Ruminahui to the north. The normal route passes right of the big cliff. 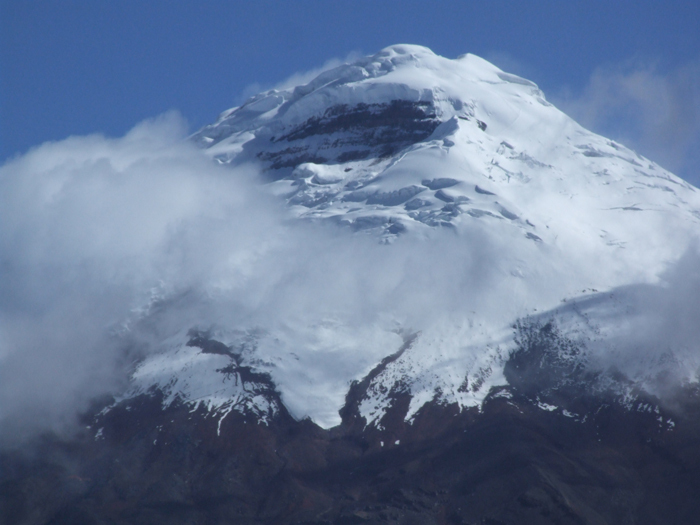 We have organised expeditions to Cotopaxi before and can organise and lead guided ascents of this peak. For details of how to climb Cotopaxi and neighbouring peaks please see our guidebooks, which are available in English, Spanish, Polish and French editions, direct from us or from all good bookshops and mountaineering shops.